Welcome to Twin Bay Resort near Tomahawk! 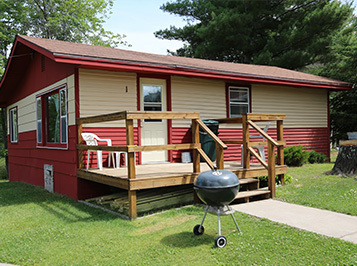 We are the finest resort on Lake Nokomis and offer everything you need for a wonderful vacation or getaway. Twin Bay Resort near Tomahawk, Wisconsin, is the finest resort on Lake Nokomis. We are an all-season resort that offers everything you need for a wonderful vacation or getaway. Dining room serving homemade pizza from a recipe in place since 1954. 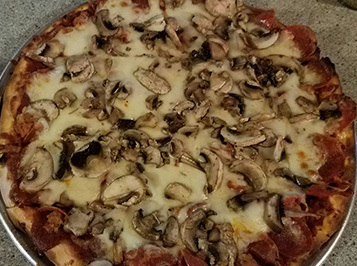 Best pizza in the area, available in thin crust, deep-dish, and gluten free. Full Menu. Homemade sandwiches, gyros, ribs, wraps, soups, and appetizers. Full liquor bar. Large-screen TVs to watch your favorite sporting events. Located 300 yards from Bearskin snowmobiling, hiking and biking trail. Just minutes away from 4 breathtaking golf courses. Private boat launch. Boating, fishing, hunting & snowmobiling. Vacations are coming !! Call us !! 715-453-2679 !! Reserve your cabin now!! Come experience the beauty of Wisconsin’s northwoods. After a day on the water watching bald eagles and osprey soar overhead, 36 holes of golf, or a 20 mile bicycle ride through the woods, you sit in front of the fire, watching the sun set with your loved ones as the loons call out good night from across the bay. This sets the scene for a great nights sleep so that you will be rested for tomorrows ATV trip, or kayak run down the Tomahawk River. 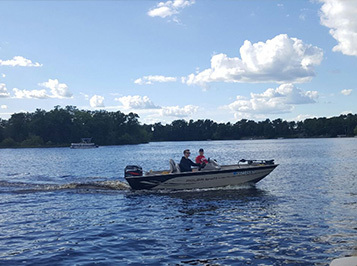 Located on beautiful Lake Nokomis, we are just 7 miles north of Tomahawk, 20 miles south of Minocqua, and 15 miles west of Rhineland. In our main building we have a Full liquor bar, dining room serving homemade pizza from a recipe in place since 1954, homemade sandwiches, gyros, ribs, wraps, soups, and appetizers, Pool table, arcade games, internet jukebox, touchscreen video game, and large screen TVs to watch your favorite sporting events. Free WI-FI and great cellular reception. Nearby bait, gas, restaurants-supper clubs, shopping, boat and waverunner rentals. Gas and food available on lake, and there are 8 other establishments on the lake.